In the Treatment of Achondroplasia, the goal is a combination of deformity correction and extensive limb lengthening for stature, with the focus being lengthening for increased stature. In the treatment of pseudoachondroplasia, the primary focus is on deformity correction with a lesser focus on stature. The first goal of treatment should be to realign the knees in patients with pseudoachondroplasia. At a young age, this can be achieved to a partial degree with a hemi-epiphysiodesis procedure. This is a minimally invasive procedure in which small metal staples are inserted in one side of the growth plate. This impedes growth on one side but allows growth on the other side. This will induce a slow correction as the patient grows. Because of the slow growth, it takes a long time for guided growth to work. Dr. Paley considers this a temporary measure to buy time prior to osteotomy treatment. Dr. Paley will then combine osteotomy treatment for realignment with lengthening around the age of 7 or 8 years. This involves correcting the valgus deformity and the procurvatum deformity of the distal femur. If there is varus deformity of the distal femur, then this is corrected along with the procurvatum deformity. Even if a hemi-epiphysiodesis procedure has been performed, there will still be deformity in the sagittal plane. Hemi-epiphysiodesis will only correct the frontal plane deformity. In the proximal tibia, the goal is to correct the recurvatum deformity together with any varus or valgus that is present. These are done simultaneously, preferably with external fixation. The advantage of using external fixation is that we can simultaneously lengthen the leg and use osteotomies that result in more length (opening wedge osteotomy). The osteotomies near the knee joint (distal femur and proximal tibia) can be corrected gradually or acutely. Usually, Dr. Paley will correct the distal femoral deformity acutely with a monolateral external fixator and the proximal tibia gradually with a circular external fixator. At the proximal femur (near the hip) there is also usually a varus flexion deformity, which can be corrected with a subtrochanteric osteotomy. This is a minimally invasive osteotomy that involves an additional few pins to the external fixator. Therefore, both the upper and lower femur are treated at the same time with the same external fixator using two osteotomies. In some cases the external fixator is also attached to the pelvis in order to prevent any pressure onto the femoral head. This is determined on an individual basis, based on the shape of the femoral head and the stability of the joint. If the valgus extension osteotomies are performed at the proximal femur, it may be unnecessary to articulate across the pelvis. The femoral and tibial fixators are hinged together at the knee joint to prevent pressure on the joint surfaces and to provide stability to the joint. At the ankle, fixation may or may not be extended to the foot depending on the mobility of the foot, stability of the foot, and planned lengthening. The larger the lengthening the more important it is to articulate across the joints in order to prevent compressive forces from being applied to these potentially fragile joints. Before lengthening, one should evaluate the acetabulum. If the acetabulum is dysplastic, a pelvic osteotomy should be considered. Sometimes this is not needed until a later age. As with Spondyloepiphyseal Dysplasia, pelvic osteotomy combined with femoral osteotomy is not uncommon. Pseudoachondroplasia is a rare condition. Only a few orthopedic surgeons will have much experience in its management. 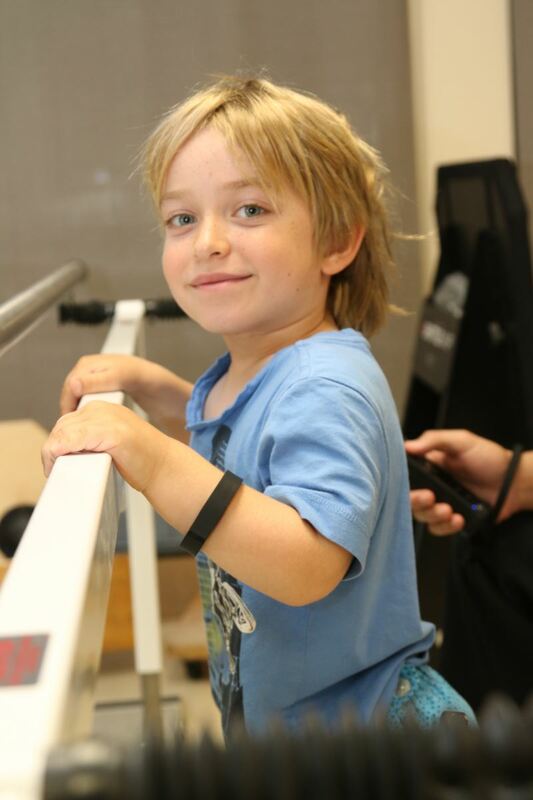 At the Paley Institute we have treated many patients with pseudoachondroplasia achieving excellent results; and we are, to our knowledge, the only center to have successfully performed extensive limb lengthening for pseudoachondroplasia. While other centers are known to treat the alignment deformities, few if any are experienced in lengthening for these patients. Both treatments can be carried out simultaneously, successfully, reproducibly, and most importantly, safely.